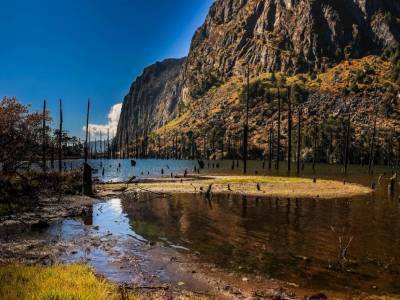 The main attraction of Arunachal Pradesh is without a doubt the glamour of the Sangester or Sangestar Tso Lake, popularly known as the Madhuri Lake. 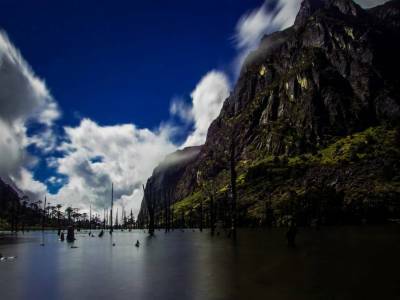 There are many lakes in the mountainous state of Arunachal Pradesh but this one stands at a special pedestal. 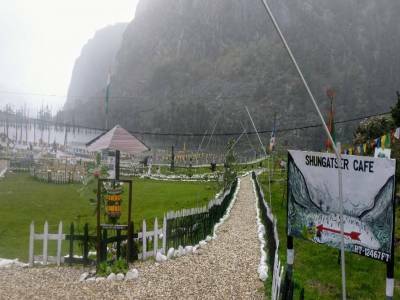 The frontier district, Tawang, of the eastern frontier state of the Indian sub continent, Arunachal Pradesh is blessed with many natural wonders but the Sangestar Tso Lake is definitely the latest blessing it received from the Mother Nature. The place was originally a prairie or grassland till very recently. 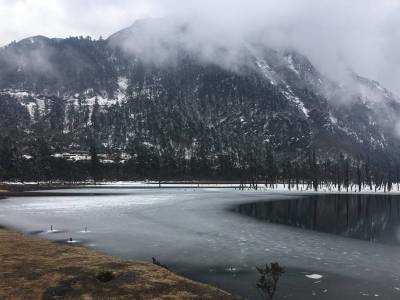 In the earthquake of 1971 this lake was formed overnight about some 40 KM away from the main hub of the region, Tawang. The Sangestar Tso Lake is a true beauty. Deep seated in the lap of high snow capped Himalayan Mountains, caressed by the beautifully verdant valley of the topography; the aesthetic quotient of the Sangestar Tso Lake truly shoots off the chart. The Sangestar Tso Lake is a famous cinematic destination also. It is safe to say that it became famous for a 1990s Bollywood movie named Koyla. The movie featured the actress Madhuri Dixit and thus the name of the Sangestar Tso Lake became colloquially famous as the Madhuri Lake. This picturesque Sangestar Tso Lake is very alluring and the vista of the whole land from a higher viewpoint in the mountains is simply breathtaking. 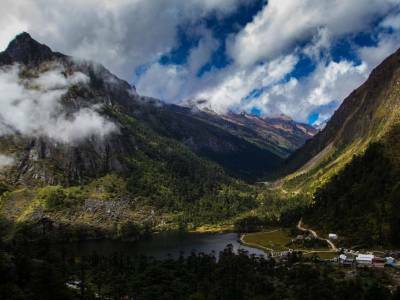 The Madhuri Lake is located about 42 KM from the town of Tawang and it is quite accessible through the roadways. For visitors cab services are very much available. The main tourism activity at Sangestar Tso Lake is of course photography and trekking in the mountains. The other sightseeing spot in and around the Sangestar Tso Lake is the Bum La Pass. For tourists visiting the Sangestar Tso Lake, the summer months are the best time to visit. Get quick answers from travelers who visit to Sangestar Tso Lake.